Are you a Bride who’s got somewhere to go, but doesn’t have time to fix your hair? 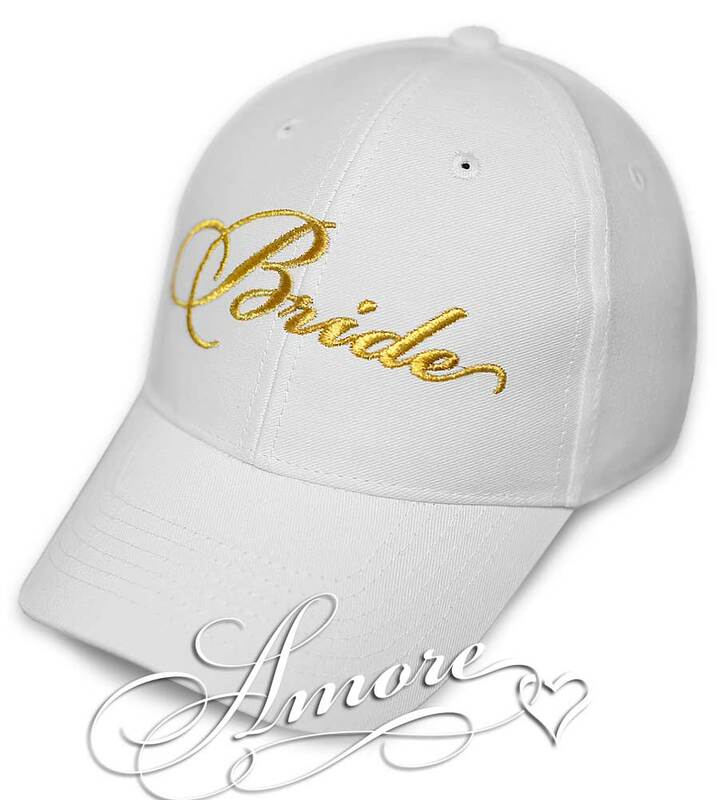 Put on this one-size-fits-all white baseball cap that features the word “Bride” cap in gold embroidered lettering (wedding white bride hat). Now everyone will know that you are bride-to-be. Great wedding gift. Fun to wear prior the wedding, parties, receptions and honeymoon. They are made 100% Cotton, with a beautiful embroidery.